It’s over thirty years since Peter Lord and David Sproxton at Aardman Animations first crafted a little character out of clay called Morph. But three decades on, the little guy is back, with his side-kick Chas of course! 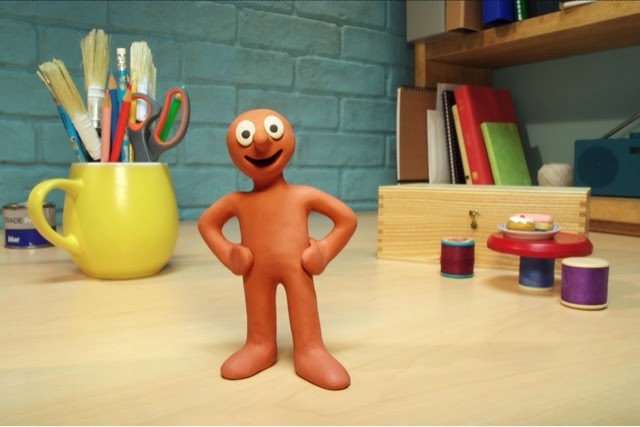 Morph originally appeared in 1977 as Tony Hart’s sidekick, and became a firm favourite on children’s television over the next 20 years. The last new Morph episode was broadcast in 1997, but nearly two decades on, Aardman is doing things differently. The fifteen new Morph episodes have been funded by members of the public through the Kickstarter crowd-funding website, and will be aired Morph’s own YouTube channel for fans around the world to enjoy. The first of the new one-minute episodes will be broadcast on Morph’s YouTube Channel (www.youtube.com/MorphOfficial) at 17:15 on Friday 4th(Morph) of July, which is the exact time of Morph’s first ever TV appearance during Take Hart, broadcast on BBC1 on 15th February 1977. It’s almost twenty years since there were any new episodes of Morph, but in October 2013, Peter Lord (Aardman co-founder and Creative Director) launched a Kickstarter fundraising campaign aiming to raise £75,000 which would be matched and funded by the studio and used to create 12 new one minute episodes. The target was reached just eight days later.The campaign closed on 28th November by which point 2654 backers from around the world had pledged between £1and £5000 to raise over £110k, which has funded 15 new episodes. The new episodes show Morph and his mischievous sidekick Chas in their home on an artist’s desk in a quiet corner of the Aardman studios. They are surrounded by familiar objects like paint pots, stationery and cotton reels but also modern-day props and artefacts including smart phones and digital cameras. A handful of the themes of the episodes have been based on suggestions by fans. “I was very keen on keeping the humour, slapstick and surrealism of the original Morph episodes, whilst at the same time bringing Morph slightly more in line with the modern world. What’s great is that many of the original viewers of Morph are now parents themselves, so it will be brilliant to introduce Morph to a whole new generation of fans via Morph’s You Tube channel.” said Peter. 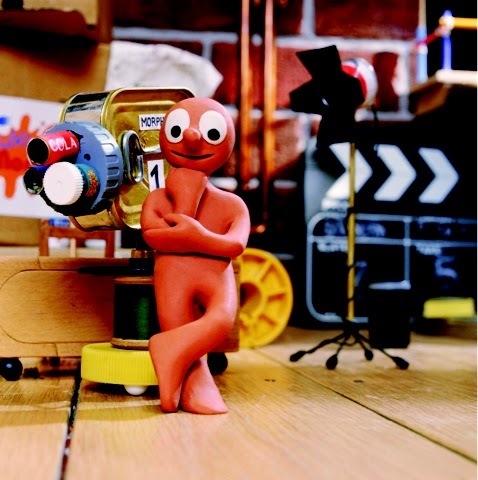 Staying true to the original format, the new episodes were shot using clay and traditional stop-frame animation, in Morph’s original home at the Aardman studios in Bristol. More than 150 Morphs were moulded over the five month production of the 15 one-minute episodes. 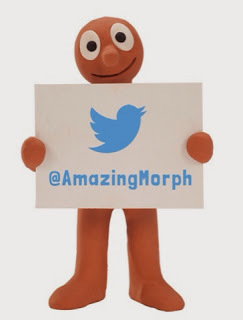 Check out @AmazingMorph On Twitter on Friday 4th July and join in with the #Morphisback Twitter Party between 4.30 & 5.30pm and you could win some amazing prizes.